More than one in ten people who have had an ischemic stroke will develop new chronic pain, leading to an increased risk of declining cognition and function. In a large clinical trial, researchers evaluated prevention measures for recurrent stroke, using a sample of more than 15,000 stroke patients who had no history of chronic pain before their stroke. Of these patients, 10.6% said they developed chronic pain after their initial stroke. Those who suffered chronic pain were far more likely to have a decline in functional independence compared with those who did not have associated pain. A decline in cognitive ability was also tied to patients with peripheral neuropathy or chronic pain from limb spasms or shoulder dislocation. Previous research has found a link between stroke and depression. This study found depression to be a significant predictor of developing post-stroke pain. In an interview about the study’s clinical implications, Dr. Fadi Nahab, medical director of the stroke program at Emory University Hospital in Atlanta, said that the potential treatment options for stroke patients may include a combination of antidepressants and neuropathic pain treatment. O’Donnell M, et al. Chronic pain syndromes after ischemic stroke. Stroke: Journal of the American Heart Association; published online before print April 4, 2013, doi: 10.1161/​STROKEAHA.111.671008. 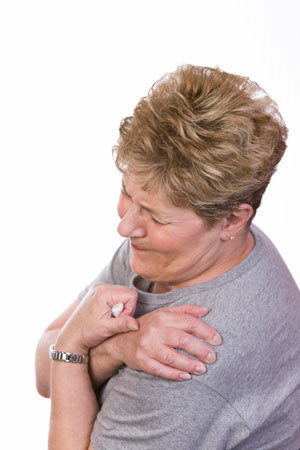 Neal, T. Stroke may trigger chronic pain. Medpagetoday April 4, 2013; http://www.medpagetoday.com/Cardiology/Strokes/38250. Written by: Kelly Johnson on April 8, 2013.